Contact us for more info of the dvd items. 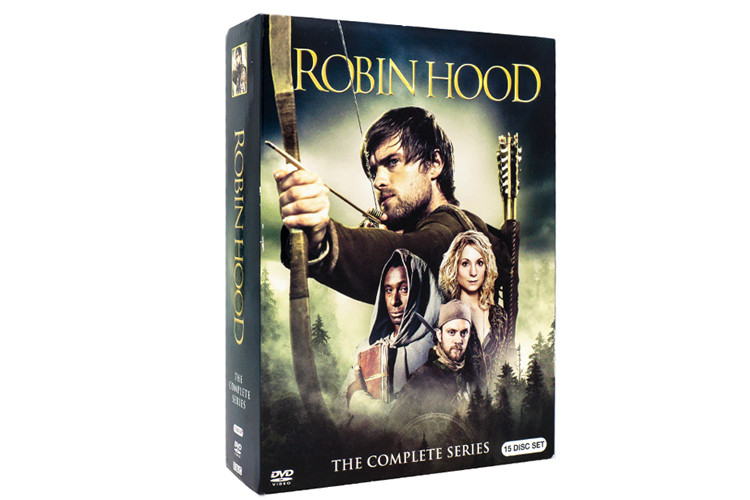 The complete series of the fantasy smash hit Robin Hood--now in one gift set! The popular retelling of the Robin Hood legend is back with a hot young cast, and breathtaking archery, incredible swordplay, energy, humor, brute force, and the raw determination to right wrongs. Robin of Locksley returns from serving King Richard in the Crusades to find his home under the oppression of the sadistic Sheriff of Nottingham, and the Sheriff s right hand man Guy of Gisborne has his eye on Robin s childhood sweetheart Marian. Will Robin be able to save his people? Or will in justice overcome everything he stands for?